It appeared to be another boring day on the job for Matt Weston (Ryan Reynolds), a CIA agent stationed in South Africa, until number one high value target Tobin Frost (Denzel Washington) turned himself in. While he is wanted by the United States government for questioning, it becomes clear that someone else wants Frost dead. Weston then finds himself caught up in the same deadly game of cat and mouse that Frost was involved in for years. 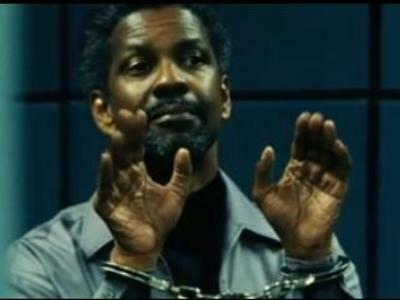 Safe House is a spy thriller that was released yesterday. As you can probably tell from reading this blog, I am a James Bond aficionado, and thus am in general able to appreciate a good spy thriller. So what did I think of Safe House? Well, there really was not much in the way of plot. Of course, I went into the movie expecting that as the trailers pitched it do be a more or less mindless action film. And with what little plot there was, it was very, very predictable, from the final twist to where the next explosion was going to occur. Being that this is a mindless actioner, you are probably more concerned with how the action sequences were anyway. In general, I wasn’t really a fan of how many of them were put together. Director Daniel Espinosa seemed a little overly fond of extreme close-ups, action scene or otherwise. Thus, when Ryan Reynolds was duking it out with Generic Minion F if any one of the fight scenes, the extreme proximity of the camera made discerning what was going on a little harder than it should have been. Not only was the cinematography not well done, but the shots were rather poorly edited. Furthermore, I thought that the sound effects (not just the gunshots, I mean when someone punches someone) were a little too loud, and thus adding to the overall disorienting feel. Outside of the action scenes, the editing reminded me of Precious, which by the way is not a good thing. It’s hard to judge the acting in the movie because the roles were such that required slightly more acting talent than what Hayden Christensen has. Denzel Washington has proven time and time again that he’s a terrific actor, but he was given a rather lame script to read in Safe House. I can tell that he was really trying to squeeze what little life he could out of said script. I’m really not at all upset with the general lack of a plot. I’m perfectly willing to admit that I like mindless action movies. However, I feel like I would have enjoyed Safe House more if it was handed off to a different director and if Denzel Washington was allowed to take center stage instead of taking a backseat to Ryan Reynolds. Other than that, it felt that Safe House’s tricks were not only done to death in other spy thrillers, but they were also done more well. Safe House is a reasonably fun watch with friends, but I am more likely to suggest renting and rewatching The Bourne Identity (2002). I agree with you on The Bourne Identity. That set the standard for action films. I’ll be skipping Safe House, for sure. The worst part is that Safe House actually has a similar premise to The Bourne Identity, in that both follow an elite CIA agent who the agency believes has gone rogue, and thus he needs to be taken out, only The Bourne Identity was, in every way, so much better, such as actually having a plot. Also, neither Matt Weston nor Tobin Frost really seemed anywhere near as badass as Jason Bourne.